Photo courtesy of Adventure Cycling Association. Washington Bikes board member and USBRS route coordinator John Pope is biking US Bicycle Route 10! He departs from his hometown of Anacortes—the western terminus of the newly designated national bike route—on September 15 and is scheduled to arrive in Newport at the Idaho border on September 22. Day 1: Monday 9/15 (the day following the Anacortes Ribbon Cutting for USBR10). Start from Anacortes Ferry Dock at 9AM, long day crossing Skagit County flats to Newhalem CG (87mi, not much elevation). Lunch break at Rockport SP or Howard Miller County Park. 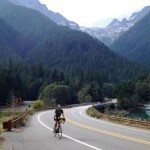 Read the post about John’s Day One Ride. Day 2: Tuesday 9/16. Leave Newhalem, water break at Colonial Creek CG, lunch at Rainy Pass roadside/Washington Pass Overlook, camp at Early Winters CG (57mi day, ~5000’+). Read the post about Day Two. Day 3: Wednesday 9/17. From Mazama, coffee break at Winthrop, lunch/sag point at Twisp grocery store, camp at Lyons City Park, Okanogan (62 mile day, ~4000’+). Read the post about Day Three. Day 4: Thursday 9/18. 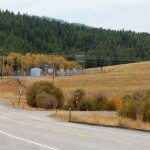 From Okanogan ride to Riverside, then Tonasket (lunch/sag). Climb Wauconda summit, stay in Republic, possibly at Millers RV (71 miles, ~3500’+). Day 5: Friday 9/19. Ride up Sherman Pass (up 3300′, then down 4300′), lunch at the Columbia River, stay at Fairgrounds in Colville (53 mile day, ~4000’+). Day 6: Saturday 9/20. 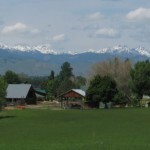 Participate in Blazing Saddles bike ride and chili cook off, and USBR 10 event (0 to 100 mile day, rides of every description included in the event). Stay in Colville. Day 7: Sunday 9/21. Colville to Ione (lunch). Camp at Panhandle USFS (63mi, ~2000’+). Day 8: Monday 9/22. Coffee at Usk, lunch at Newport (30miles, moderate hills). Spokane (47 mi from Newport) has Amtrak, or continue your tour on through Idaho! 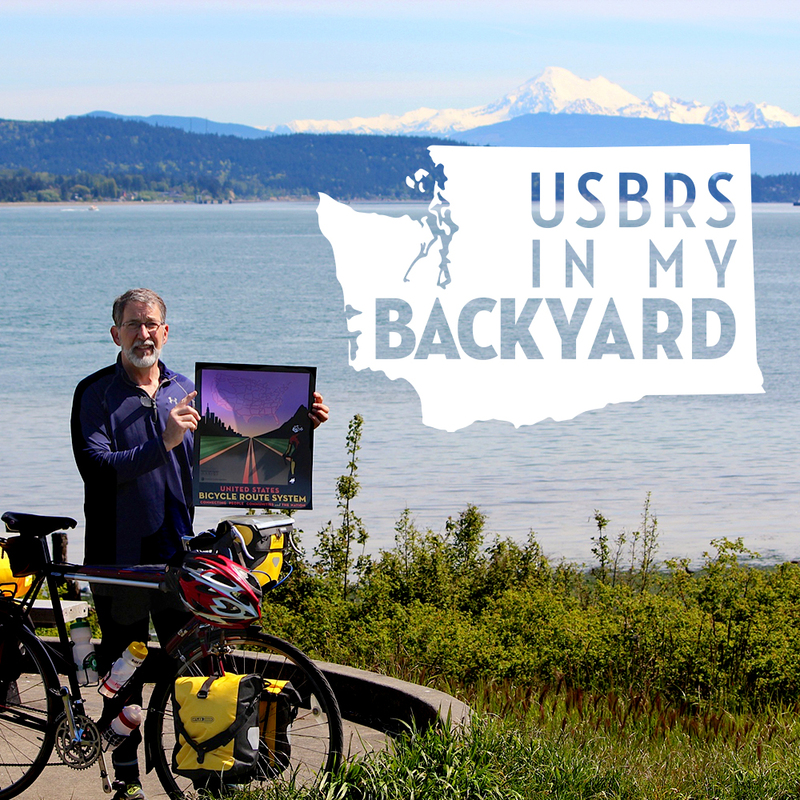 Tune in to our Facebook page to follow John on his USBR 10 adventure. This article was posted in Adventure, News, Rides, Travel, USBRS. Bookmark the permalink. Follow comments with the RSS feed for this post. Both comments and trackbacks are closed.